If only George had restricted himself to making changes on films he personally had directed. For subsequent theatrical and home video releases, Lucas has messed around with both THE EMPIRE STRIKES BACK and RETURN OF THE JEDI - neither film, remember, crediting him as director. Fiddling around with movies is nothing new to Lucas - both THX-1138 and AMERICAN GRAFFITI had CGI-assisted facelifts for their debuts on DVD. In fact, it goes back as far as the ’81 theatrical reissue of STAR WARS. Back then, it was just an innocuous subtitle - “Episode IV - A New Hope” - added to the opening crawl. Since then, however, the changes have been far more significant - from Jabba The Hutt’s house band changing both personnel and song, to the more controversial subjects of Greedo shooting first and actors being digitally replaced. Frustratingly, Lucas’ peers in the film world have shown him how it can - and should - be done. Steven Spielberg made a huge number of changes to the reissues of CLOSE ENCOUNTERS and E.T. - but ensured the original cuts were available for purchase alongside them. As well as Ridley Scott’s ’07 “Final Cut”, BLADE RUNNER can be seen in no less than four other different versions on Blu-ray and DVD - including the ’82 theatrical cut. James Cameron routinely re-edits and extends his films for home viewing but the theatrical cuts are still kept in print. The issue here isn’t actually Morrissey’s or Lucas’ desire to revise their works - they’re perfectly entitled to do that. What rankles is that these new versions will soon become the only ones available. Both the original ’88 CD release and the ’97 expanded versions of VIVA HATE are now out of print, destined to be replaced by the upcoming remaster. 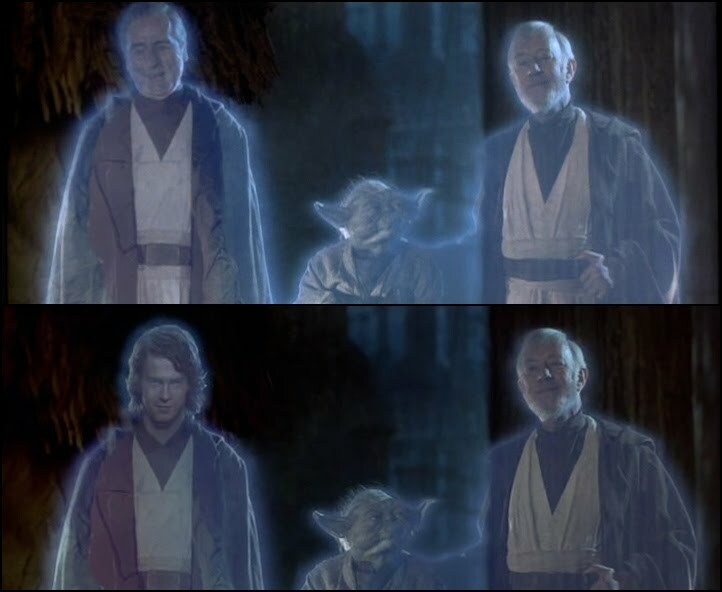 If you want to see what STAR WARS looked like before the ’97 “Special Editions”, then you’ll need to be quick. Lucas grudgingly released unremastered, non-anamorphic copies of the original trilogy films on DVD a few years ago and the clock is counting down on their availability. For better or worse, a line is crossed when the work is made available to the public. Whether it’s STAR WARS in ’77 or VIVA HATE in ’88, there’s an incarnation of the film or CD - or any kind of creative work, in fact - that people get emotionally attached to. I personally dislike imagining a butchered version of LATE NIGHT, MAUDLIN STREET being the de facto standard in the future or Han Solo never again shooting Greedo first. I’m not advocating that an artist should slavishly follow their audience’s wishes but respecting their admiration for a released version should always be taken into account. At the heart of this is the eternal dilemma of the artist - at what point do you stop? Leonardo Da Vinci said “art is never finished, only abandoned”. The temptation to keep on fiddling, trying to further improve work already ostensibly completed is understandable. The reasons behind Morrissey messing around with VIVA HATE’s track listing aren’t known and probably never will be. Lucas, however, has defended his position by saying “my movie, with my name on it, that says I did it, needs to be the way I want it.”. Will he ever be completely satisfied? It’s highly unlikely - a retrofitted 3D conversion of Episode IV has already been announced, although the disappointing box-office returns of THE PHANTOM MENACE in 3D may result in the project being scuppered. Ironically, the final word on the subject goes to George Lucas himself. Back in 1988, he testified to Congress about the then growing threat of colorisation - classic black & white films being transformed by computer into limp colour. “In the future, it will become even easier for old [film] negatives to become lost and be “replaced” by new altered negatives.” he stated, “This would be a great loss to our society. Our cultural history must not be allowed to be rewritten”. Quite right, George. Now how about putting your money where your mouth is and restoring the Original Trilogy to its former glories?